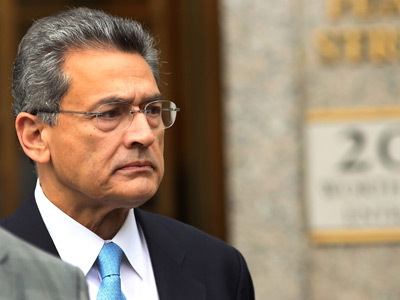 A former director of the Goldman Sachs Group, Rajat Gupta, has begun a two year prison term for sharing confidential information. He still faces a fine of $13.9 million, and is banned from acting as an officer of a public company. Gupta, 65, went to jail on Tuesday, almost two years after a US Court convicted him of passing confidential information he got during Goldman Board meetings to Raj Rajarantam, the founder of the Galleon Group hedge fund. Gupta lost both a criminal and a civil case, concerning what he did when on the Goldman Board, and was ordered to make $6 million restitution to Goldman Sachs and pay a $5 million fine. The 2nd US Circuit Court denied Gupta's appeal that the penalty and ban were excessive. So, on Tuesday Gupta reported to FMC Devens, a medical facility and prison 40 miles northwest of Boston. 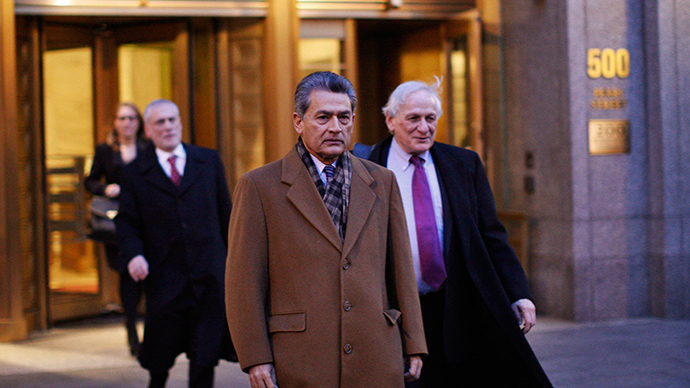 During his trial, the prosecution highlighted a September 23, 2008 phone call made by Gupta to Rajaratnam just minutes after Gupta had learned about Warren Buffett's planned investment of $5 billion in Goldman Sachs. Shortly after the call, Rajaratnam bought $40 million in Goldman stock, which made him nearly $1 million at the height of the US financial crisis. The man who received the information, Raj Rajarantam is serving an 11-year prison sentence, also in the Devens facility. Prosecutors accused Gupta of being “above the law”, when giving information to his close friend. Thomas Gorman, a former senior counsel in the division of enforcement at the Security and Exchange Commission said that Gupta’s principle motive was his friendship with Rajarantam. “At the same time Mr. Gupta did not trade and did not make money. Rather his motive was friendship. Here the fall from grace for him will be much harder than for most given his stature in the community. That may well be the worst punishment,” he said. Gupta was once one of the most respected CEOs in the US and at one time CEO of Russia’s Sberbank.